After many days of warm-up, vivo Malaysia has finally just released its new member of the V series: vivo V9! 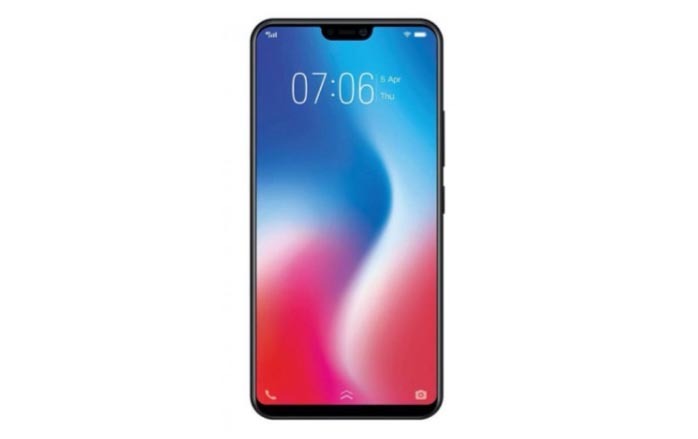 This V9 has extraordinary significance for the entire vivo V series mobile phone, because the V9 is not only the first mobile phone of the V series that uses Liu Hai’s full screen, but is also the first to carry a rear dual camera! The first is appearance! 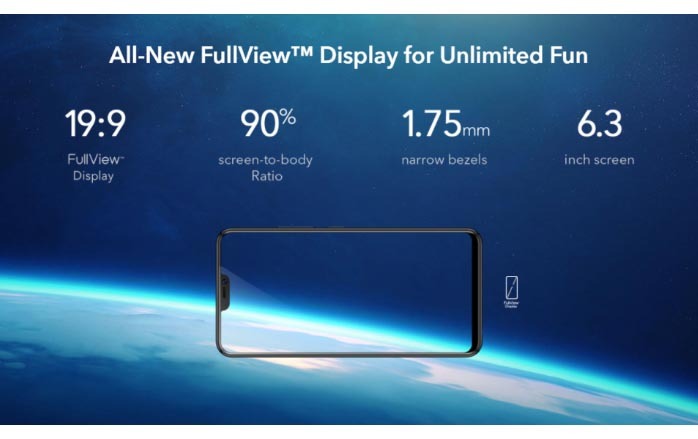 This vivo V9 front equipped with a 6.3-inch FHD + IPS Liu Hai full screen resolution of 2280 × 1080, the ratio is currently relatively rare 19:9. Thanks to the 1.75mm ultra-narrow frame design, the 90% screen in the vivo V9 screen is amazing after the screen is lit! The back of the fuselage, vivo V9 uses a one-piece plastic back cover design (IMT process, the surface looks like a metal), the rear double camera lens uses a straight row design, the big vivo logo has a square above Post-fingerprint recognizer. This time, vivo V9 will provide three colors of black, gold and blue. 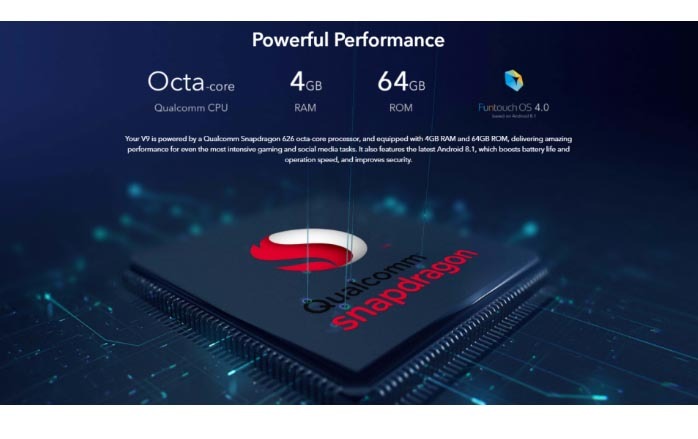 In terms of performance, the vivo V9 will be equipped with a 2.2Ghz Qualcomm Snapdragon 626 processor, a 4GB+64GB storage unit, a 3260mAh battery capacity, and a Funtouch OS 4.0 system based on Android 8.1. Compared to the previous generation V7, the performance of this vivo V9 can be said to have a very substantial upgrade! The mainstream AI artificial intelligence function is now also used in vivo V9. 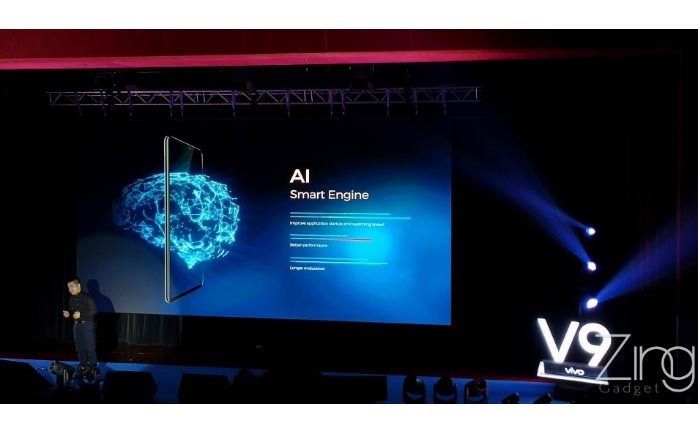 Vivo V9’s built-in AI intelligence engine can detect whether the user is sliding or tapping the screen, and then accelerate the performance of the mobile phone according to the detection result. When it is detected that the user is sliding the screen, it will accelerate the performance of the mobile phone, allowing the user to enjoy a smooth and no delay experience! This time the performance of the vivo V9 upgrade, I believe it is because of the general trend of mobile games! 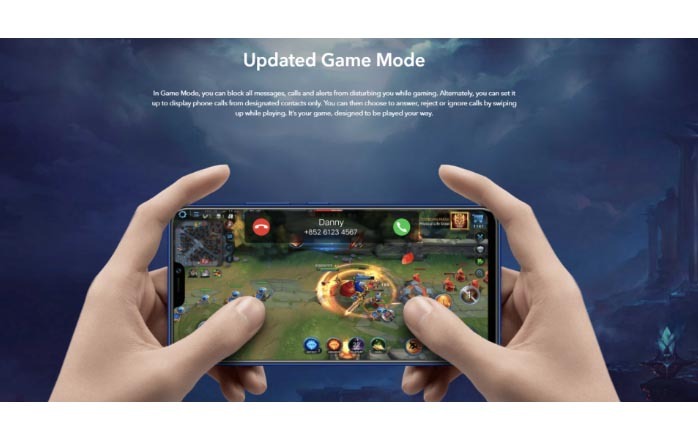 In order to ensure that the user can get the ultimate gaming experience, this time vivo V9 will also join the game engine 2.0 features, providing game-free, transparent window information push, game keyboard, game acceleration and other functions. Even if you receive all kinds of notifications while you are eating chicken, you are not afraid! And then there is a good trick for Vivo: take pictures! 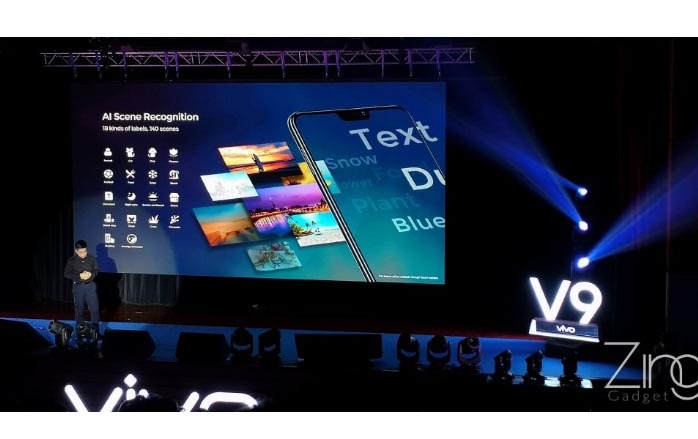 This vivo V9 will be the first V series mobile phone equipped with a rear dual-camera lens, using a rear-mounted dual camera combination of 16 million pixels + 5 million pixels, f/2.0 aperture, 1/2.78 inch sensor, and support for PDAF focusing From a hardware point of view, it is a very good configuration. This time, vivo also added a practical backlight HDR camera function for V9, and claimed that it can shoot bright and clear photos in the backlight environment. 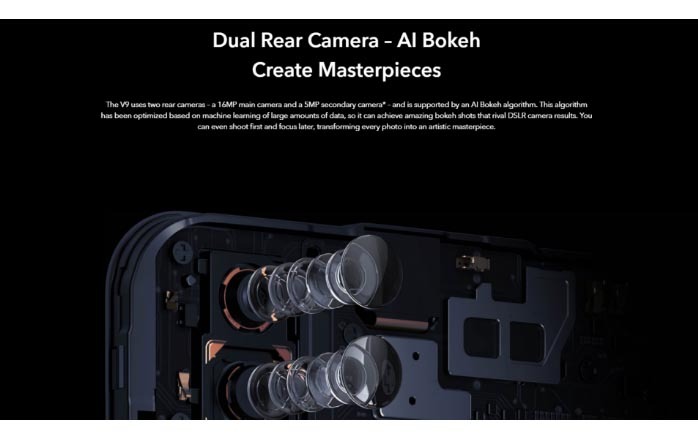 Thanks to AI artificial intelligence, the rear dual camera lens in the vivo V9 can also intelligently recognize about 18 different scenes and switch to the most suitable shooting settings in real time. This allows users to worry about tedious camera settings and pick up the phone and shoot directly on the line. ! 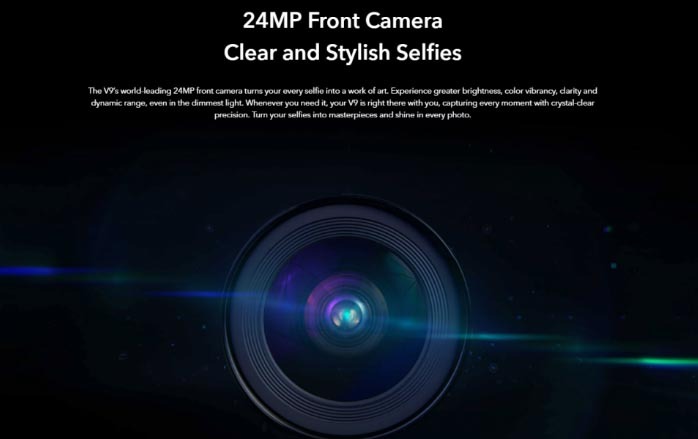 In the front camera, vivo V9 is still equipped with a signature 24 million pixel front f/2.0 aperture self-timer lens, the same 1/2.78-inch sensor, and also supports AI beauty, backlight HDR and AR cute shooting and other functions . However, I believe the reason is the use of Liu Haiping’s sake, vivo V9 did not carry a pre-soft light this time, but instead diverted to the screen fill light, so that vivo V9’s night self-portrait is slightly inferior to the V7. As the AI function matures, it becomes more and more common to detect the dynamic texture function of the user’s face. 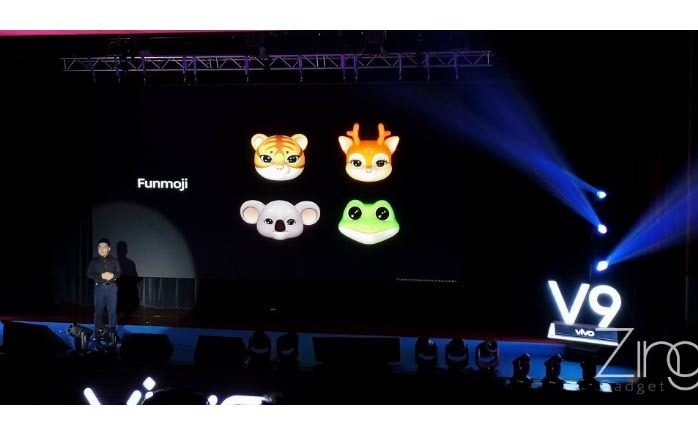 This vivo V9 will also carry its own dynamic map: Funmoji, can capture the user’s expression and generate a dynamic expression of small videos, and can be sent to Faceboook, Messenger and Whatsapp and other mainstream communication app. The front camera of the vivo V9 can also be used to achieve AI facial unlocking in addition to shooting from outside, so that you can immediately use the light screen! And the front lens of the vivo V9 can also detect any reflective surface, so you want to use photos to fool the face to unlock it will not work! 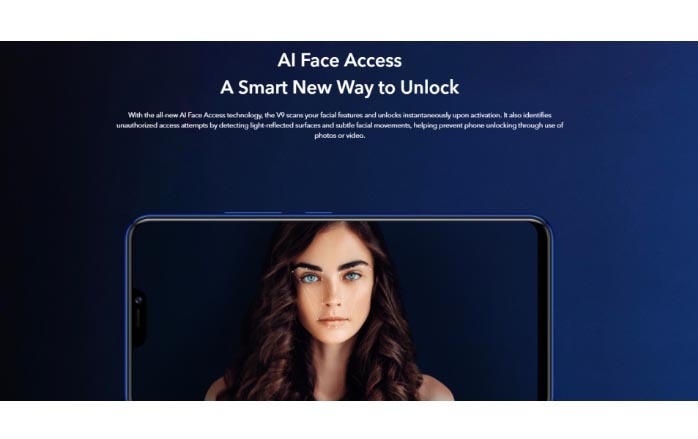 Not only that, the facial recognition function of vivo V9 can also be used to lock the app and prevent other users from opening some privacy apps. And if you are a reader who likes to sing K, the vivo V9 has also added a very interesting feature: Pocket Karaoke function. 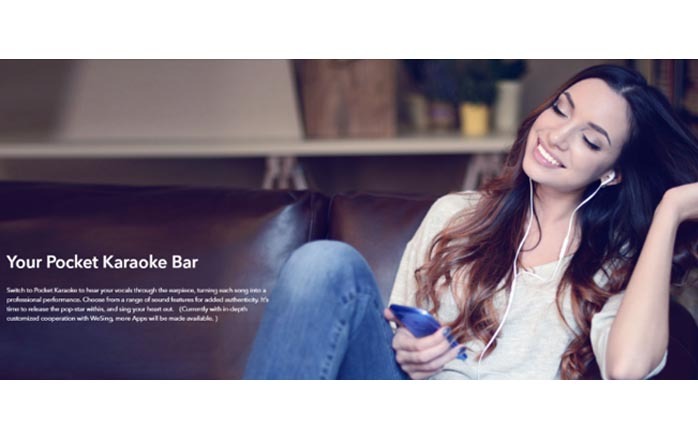 In this mode, when the user sings while wearing headphones, his voice will be broadcast from the headphones, allowing you to use the vivo V9 to sing K anytime anywhere! At present, this feature has been fully adapted to the WeSing App and will continue to adapt to more K songs in the future! The last is the price we are most concerned about! 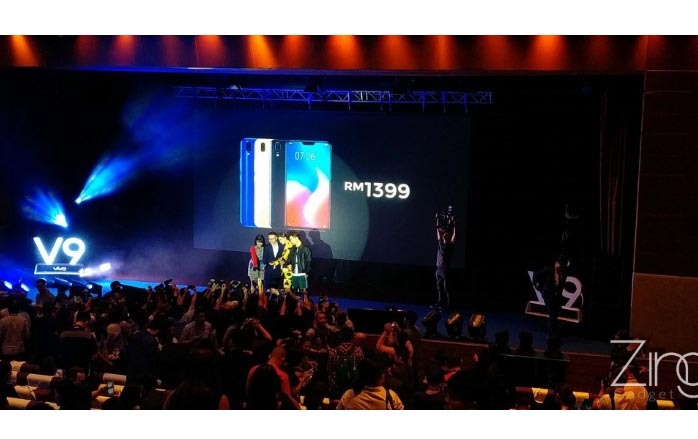 Vivo V9 official price is RM1399, from now on the official opening of pre-order, with pre-order will also be included JBL wireless speaker and a group of mystery gift box, on March 31 formally on sale in the country. 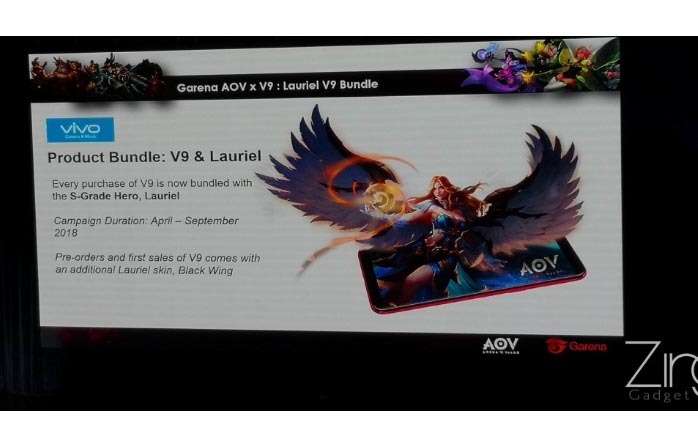 Not only that, if you are a player of Arena of Valor, if you buy vivo V9 between April and September 2018, you can get Lauriel’s permanent hero! And if you are the first to buy V9 through pre-order or first sale, you will also get Lauriel’s Black Wing skin! Ricoh Theta S-Casual to carry, easy to enjoy your 360° world.